Immigration reform is enjoying a resurgence of support in both parties, with groups from a variety of backgrounds coming out in favor of a range of changes to our current system. The most striking change may be the melting of opposition to a pathway to citizenship for the 11 million undocumented immigrants in the U.S. But acceding to citizenship and creating a system that will actually allow people to get there are two different things. 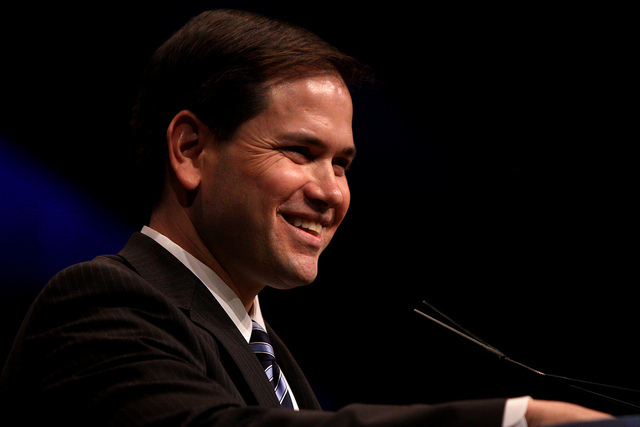 However, as the weeks pass and no new details of the Rubio plan emerge, many immigration advocates worry that Rubio’s insistence on putting the undocumented at the “back of the line,” behind the millions of people currently waiting to immigrate legally, could mean that citizenship is an elusive promise, adding to the backlog without expanding the number of visas handed out. And even though there’s a growing consensus, the consensus isn’t complete: the hard-core restrictionist wing of the conservative movement is still not on board. Texas Representative Lamar Smith continues to mischaracterize a roadmap to citizenship as an “amnesty” and Kansas Secretary of State Kris Kobach recently said that President Obama’s immigration plans were “out of touch” with the American people. The American people, however, favor the roadmap by nearly 2 to 1, and favor other parts of immigration reform – such as the DREAM Act – by even wider margins. There’s still disagreement regarding the degree of enforcement, the future allocation of visas, how arduous of a process the undocumented would have to go through to gain Legal Permanent Resident (LPR) status, and a whole array of other issues, but by acknowledging the importance of citizenship, both sides may be finally working from the same book, even if they aren’t yet on the same page.